Last month, Queen Rania visited the Phi Science Institute in Amman. The Queen of Jordan wore a Fendi virgin wool coat in brown with purple lining and paired it with Etro pants and an Alexander Wang shirt. Jimmy choo pumps were the finishing touch to the look. 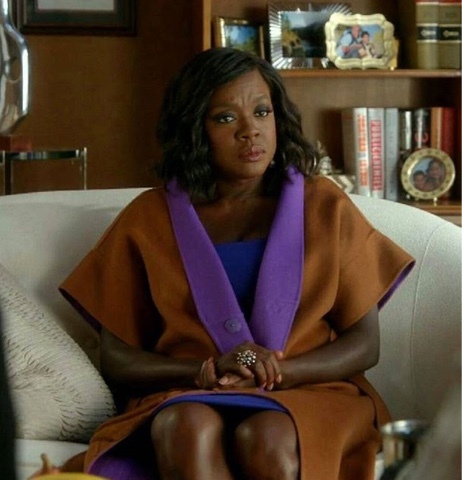 In September, the second episode of Season 2 of How to Get Away With Murder aired and Viola Davis AKA Annalise Keating was wearing the same coat in a few scenes. Annalise's version was paired with a blue dress and black accessories.